Golden Retriever price may very well be of no importance to those who dream of bringing home one of these fluffy canines. 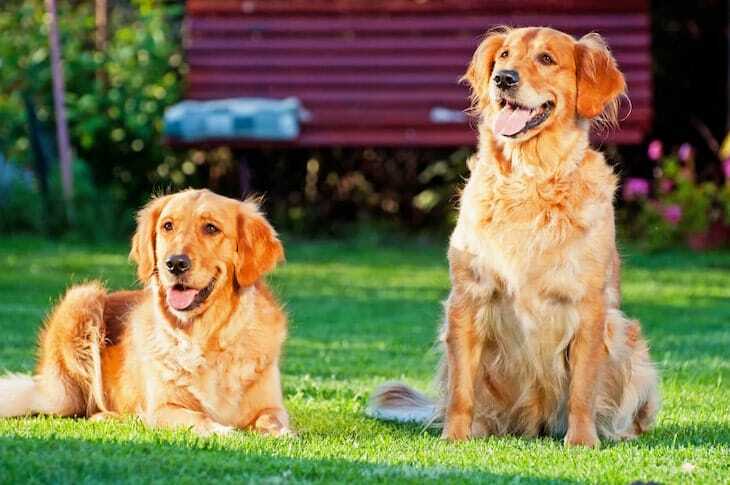 Goldens are one of America’s favorite dog breed. After one look into their soulful brown eyes, it’s easy to understand why. Could there be anything better than bringing home one of these wiggly Golden puppies?! Golden Retriever temperament, simply put, is delightful. These are friendly, easygoing dogs that tend to get along well with other pets and people, including strangers. 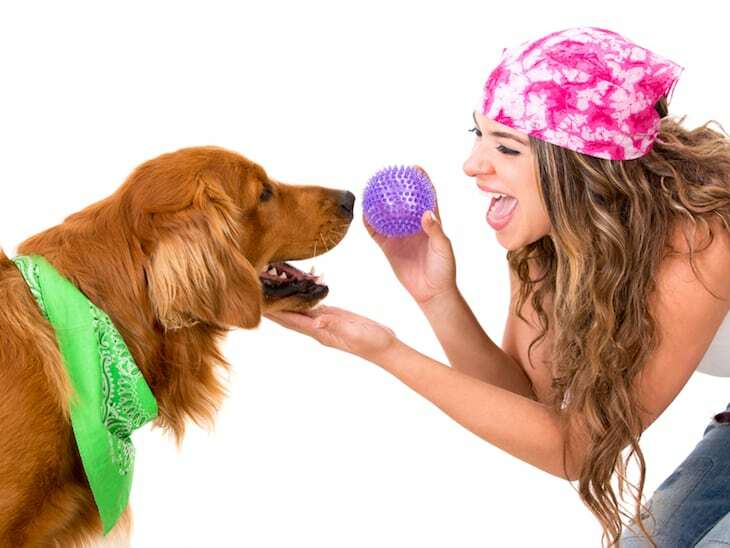 Their intelligence and eagerness to please make them an excellent pet for families and first-time dog owners. They are young at heart and energetic, which makes them an excellent companion for active families. They will gladly accompany their families on long walks, or blissfully play Fetch for hours in the backyard! 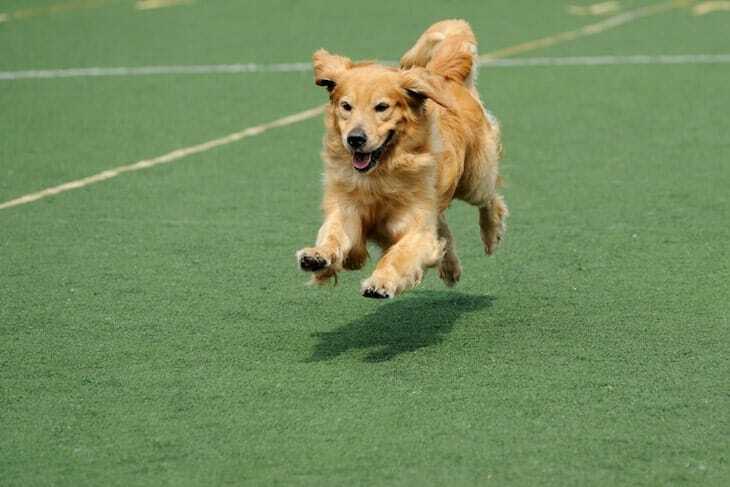 If you aren’t prepared to provide consistent exercise for your Golden, they may not be the best dog for you. They can become destructive when bored. Of course, their adorable appearance and sweet nature make it easy to forgive them for anything they do wrong! How Much Do Golden Retrievers Cost Up Front? So you’ve got your heart set on a Golden, do you? Now it’s time to figure out how much it will cost you to bring one home! According to My Dog’s Name, Golden Retriever price range falls between $500 to $2000 depending on the lineage and age of the dog, among other factors. A show quality dog will always fall on the higher end of the price scale. The price of Golden Retrievers with prize bloodlines can even stretch over $2000! When it comes to finding a Golden Retriever for sale, there are many different sources to consider. Each puppy source comes with a different upfront cost, and subsequently, different long-term costs. Let’s take a look at the different options. A breeder may be the most reliable way to find a healthy pup. But a Golden Retriever price from breeders is almost always the highest. It might seem daunting to pay more for a purebred puppy when there are seemingly cheaper options. However, it may save you money down the road. Quality breeders can provide accurate and detailed health history for their pups and the puppy parents. They take care to screen out genetic deficiencies that can lead to health problems and illnesses later in the dog’s life. Armed with this knowledge, you will have peace of mind knowing that your pup will likely remain a healthy dog throughout his life. And a healthy dog means fewer medical expenses! Rescuing a dog is a fantastic way to bring a new pup into your home. There are Golden dog rescue organizations all across the United States. And they are committed to helping puppies find their ideal forever homes. Golden puppies for adoption aren’t likely to come with the same medical history that you would get with a certified purebred pup. That said, there are still advantages to adoption. 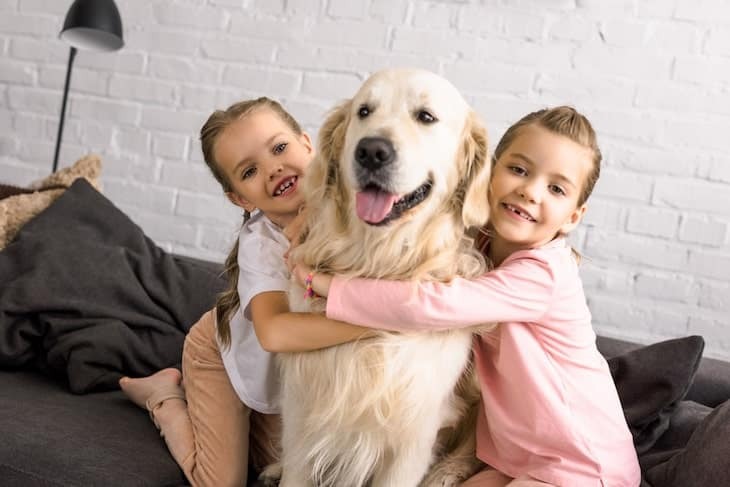 For one thing, Golden Retriever adoption typically has a much lower upfront cost than purchasing through a breeder. Adoption fees from breed specific rescues are usually around $200 – $300. This may seem like a high price tag compared to what a local shelter would charge. But remember, pups from rescues tend to have up to date vaccinations. They are also usually spayed or neutered. Those savings alone make up for the price of the adoption fees! With a breed as desirable as the Golden Retriever, it’s typically pretty easy to find puppies available. But remember, not every source is a good one. Puppies you find for sale on sites like Craigslist are utterly adorable. However, ask yourself if breeding these pups were done ethically. Many backyard breeders look to capitalize on the popularity of cute puppies by offering them at lower prices. Beware of pups listed lower than the usual Golden Retriever average prices. These pups may not even be purebred (despite what the breeder may claim). They may be the product of puppy mills. Or they may be subject to health problems down the road due to poor breeding practices. Of course, it IS possible to find ethically bred Golden Retriever puppies online. Just be sure to do your research to ensure that your puppy comes from a reliable, reputable source! With any dog, it’s easy to get hung up on the initial price and forget to factor in the ongoing expense of pet ownership. Remember, the cost of ownership includes much more than the purchase price! To give you a better idea of your long-term Golden Retriever price, let’s look at what may add to the cost of ownership. Of course, your new pup needs to eat! 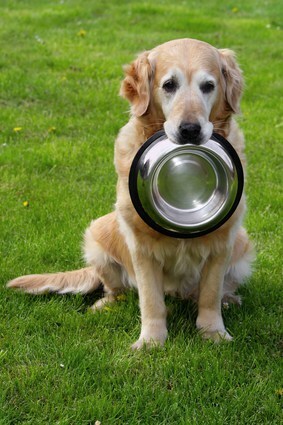 Fortunately, Golden Retrievers don’t typically require a special diet. However, Goldens are large and will consume a decent amount of food each day and are prone to overeating. Be sure to consult your veterinarian to determine the ideal brand and amount of food to give your pup each day. With this information, you will be able to make a monthly food budget easily. Don’t forget to budget for treats too! Next, you will need to plan to buy plenty of accessories for your pup. Items include one time expenses such as a collar, leash, and a crate. As well as ongoing costs such as poop bags and toys. Most of these items are relatively inexpensive. But these costs can add up fast, so don’t leave them out of your budget. Your relationship with your Golden Retriever will be much more trusting (and relaxing) for both of you if you put some energy into training. Obedience training is most useful when started from a young age, but you can teach an old dog new tricks, it’s just a little harder. Investing in training early will save you a lot of frustration and money down the road. Training programs can cost anywhere from a few hundred to a few thousand dollars. It all depends on what you and your dog need to work on. This is why it’s best to start young in your pup’s life so he can grow into a trusting, confident dog without severe behavioral problems. When you bring home a new puppy, you will have a few initial veterinary expenses. Expect these costs to reduce in later years as your dog grows up. Puppies require a few vaccinations, and eventually, they will need to be spayed or neutered. Altogether these expenses could total up to $500 throughout the first few months of owning your pup! 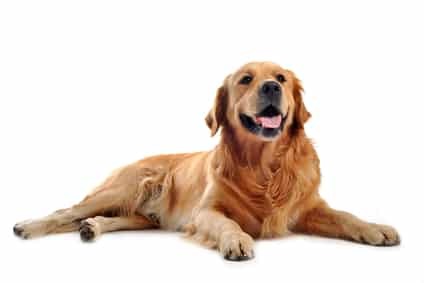 According to the AKC, Golden Retrievers have a lifespan of approximately 11 years. They are typically a healthy breed, but like any athlete, they are prone to hip and joint problems. Taking the time to find a reputable breeder will help you save on veterinary expenses later in your dog’s life. But it’s still important to plan. Be sure to budget a few hundred dollars each year for the occasional veterinary bill. You may also consider investing in a pet insurance plan to cover your Golden Retriever in the event of an emergency! All in all, it’s easy to see why the Golden Retriever is one of America’s favorite dogs! Their happy go lucky personality, glossy golden coats, and athleticism makes them an excellent companion for active families. It’s hard to imagine anyone being unhappy with one of these living rays of sunshine by their side! These dogs are so adorable that when faced with the Golden Retriever price tag you’re unlikely to think twice about the expense. But remember to consider the big picture when it comes to costs. Don’t forget to put some money aside for emergencies and to spoil your new best friend from time to time!